Young Money Entertainment is an American record label founded by rapper Lil Wayne. Young Money's president is Lil Wayne's lifelong friend Mack Maine. The label is an imprint of Cash Money Records and is distributed by Universal Republic Records. Current artists include Lil Wayne, Drake, T-Pain, Nicki Minaj, Tyga, Mack Maine, Jae Millz, Cory Gunz, Lil Twist, Gudda Gudda, Lil Chuckee, Short Dawg, T-Streets, and Shanell aka SnL. 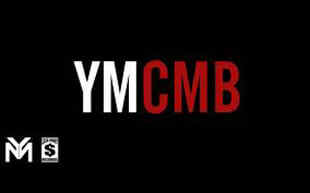 13-Year-Old Chicago Rapper Lil Mouse Signs With YMCMB? Did Lil Wayne Fall Off? Will G.O.O.D. Music's "Cruel Summer" Make Them the Best Rap Crew in the Game?